The carriage horses who have worked so hard on Guadalajara streets will be retired and live in the care of their current owners or will be donated to animal shelters or interested individuals. And according to the news story the municipal animal protection office will monitor the condition of the horses in retirement. October is National Animal Safety and Protection Month and a great time to reflect on how we can help protect carriage horses still forced to work on busy city streets. These horses can develop respiratory ailments by being forced to breathe in exhaust fumes, and they suffer leg injuries from the constant pounding on hard pavement for up to nine hours a day. Horses have been hit by cars and spooked and bolted into traffic when startled by unexpected sounds. Some of these misfortunate animals have stumbled and fallen due to uneven surfaces or potholes, while others have collapsed or dropped dead due to exhaustion when forced to work in scorching summer heat and humidity. 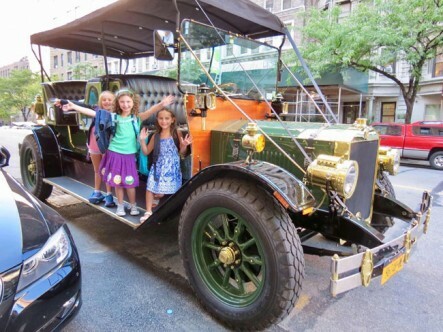 NYCLASS also built an antique-style electric carriage and offers rides to tourists to demonstrate that it is a fun alternative to horse-drawn carriages. “It gets a very positive response―people love taking rides in the e-carriage!” Birnkrant said. 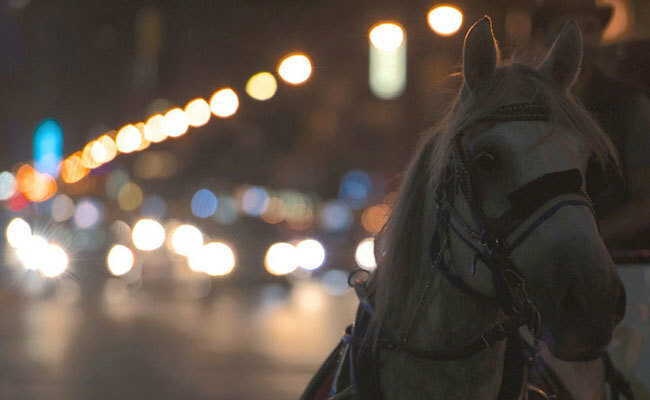 When the New York City Council failed to pass legislation aimed at keeping horses off the streets last year, NYCLASS shifted its focus. The group is now working on achieving major meaningful legislative change this year for the more than 200 horses who suffer daily on city streets. 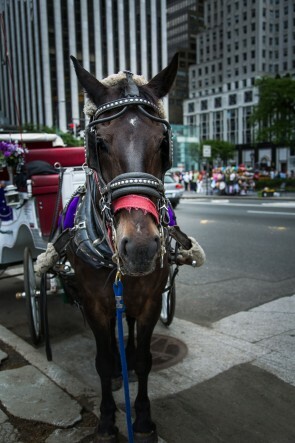 Prohibiting horses from working in Times Square and other chaotic, traffic-dense areas of Midtown where carriage horses often spook and crash into vehicles and only allowing horses to pull carriages in Central Park. Giving horses mandatory retirement to a sanctuary instead of being sent to slaughterhouses once they can no longer pull carriages. Larger stall sizes―current stalls are far too small especially considering the horses have no pasture to graze or move about freely. Better veterinary and farrier care. Changing the laws regarding the temperatures and weather conditions in which horses are legally allowed to work. Concerned New York City residents can contact their City Council members and urge them to support NYCLASS’ efforts to gain these real protections for carriage horses. In addition, NYCLASS invites animal advocates to join them on city streets to help educate the public about the realities of life for carriage horses.